Avocado salmon rice bowl is one of the highly recommended dishes to make, with its nutritional value and good taste. In this article, I’ll teach you how to make this one. Scouting online for homemade recipes for a candlelit dinner you are planning to surprise your special someone with? Maybe you are looking for meal ideas that offer a lot of nutritional value and are also very tasty and delicious. 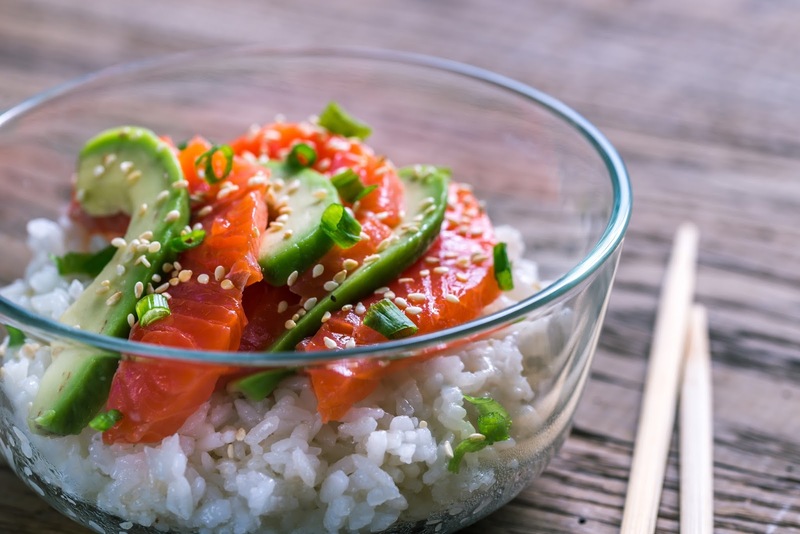 Whatever it is, in this article I will share with you one of my personal favorites that I also love sharing with my boys: how to cook avocado salmon rice bowl in which the bursting flavors of fruit and fish come together in a perfect concoction. Before you cook the rice, you first have to make sure that the rice is rinsed well. Do this by submerging the rice in water to wash away the impurities and pouring the appropriate amount of water you need for it to cook through boiling. Next, begin by preheating any medium-sized cooking or sauce pan that you have over medium level of heat. As you wait for the cooking pan to get heated enough, you can start to create your rice seasoning. Gather lime juice, honey, cilantro and stock and mix them well altogether. Third, after the cooking pan is preheated, pour some of the mixture of seasoning you have created onto the cooking pan. Allow it to simmer for over a minute. Once you are finished, remove heat and pour the mixture onto the rice. You can opt to season it some more with ingredients like salt. Make sure you mix well and set aside the remaining mixture for later use. Preheat your oven to about 425. Gather a baking sheet and cover it with aluminum foil and then grease it. For the salmon, rub its skin with oil and put the fillets skin down the baking sheet. Using the same mixture from a while ago, season your fillet with this mixture. Set it in the oven and bake for over 15 minutes. Break down the avocado into two. Then, take out the pit and peel off the skin. Slice it into tiny pieces and place it in a small bowl. Create a seasoning mixture of cilantro, lime juice, salt and chili powder and mix it with the avocado chunks. ● Just boil rice and season it with a seasoning mixture of stock, cilantro, honey and lime juice, afterwards. ● With all the exposed sides covered in the same mixture as the previous step, bake the salmon fillet in an oven heated to about 425. ● Peel off the skin of avocado and cut them into tiny chunks then combine them with cilantro, lime juice, salt and chili powder. 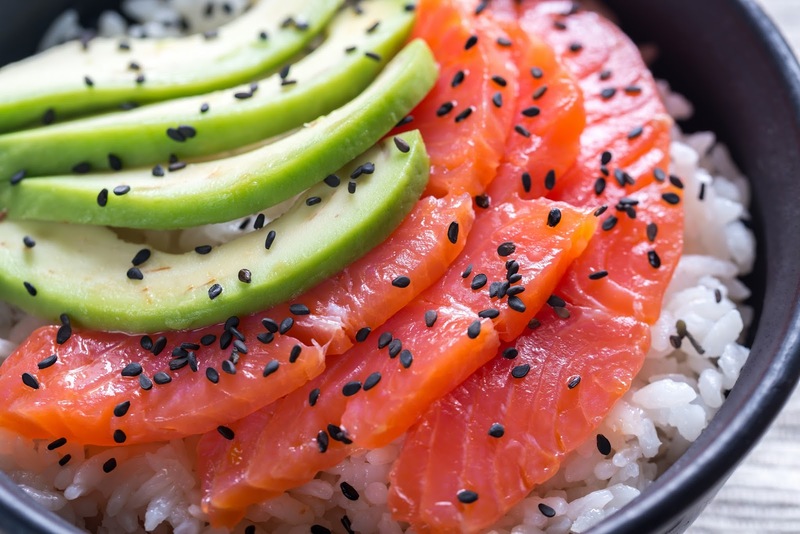 ● Top the rice off with the avocado chunks and a salmon fillet. I hope you enjoyed this article! If you have some more questions or suggestions, do not hesitate to leave them down below. I’ll see you on the next article! Bio: I’m Emily Mathew from Cookingchew.com and I am so passionate about cooking. For me, cooking is not just food recipes for the body, it’s comfortable for my soul. Gclub69 The mission lasted over nine years. บาคาร่า It is a site for access to risk-free gaming under the strict supervision of the Cambodian Government. Because our site has a territory located in Poipet. The mission has been in place for more than nine years. We are very well equipped to serve. You can assure me that. We are the site of gambling casinos set up correctly. We have a strong financial roots. And the information that is. Highly stable Receive Credits from Members You will get the key. A solid guarantee of return on your investment. For those of you who are eager to join us. Register with us. Get Paid Dividends Welcome New Member Introductions 30% of the top up to the minimum 400 baht maximum up to 8000 baht is not enough if you invite your friends to join us. Get more with a 200 baht guidance bonus per unlimited solicitation.